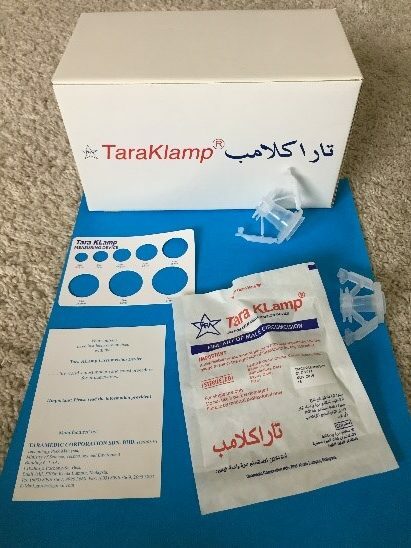 Tara KLamp is the THE WORLD’S FIRST DISPOSABLE Non-Invasive Male Circumcison Device invented in the early 80’s. It went on to become the premier circumcision device and was first marketed in 1995. It is highly regarded in SE Asia and in Africa and its currently making its foray into the sub-saharan market. It is of unitary construction and does not require to be assembled before use, so that even a para-medic can use it with ease, with minimal training. Tara KLamp comes in different sizes to cater for its respective age categories. Tara KLamp device can be used for infants and adults – All Sizes. Tara KLamp is a time saving device for circumcision as compared to other methods. It enables male circumcisions to be performed easily, safely and anywhere e.g. whether out there in the bush or open area. The surgical steps as used by this device are based on Non-Invasive surgery and offers many advantages that hitherto were not attainable by Invasive surgical techniques. 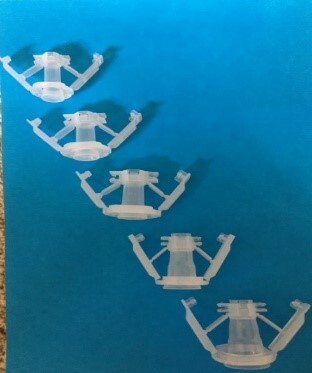 Tara KLamp packaging is Eo sterilized. 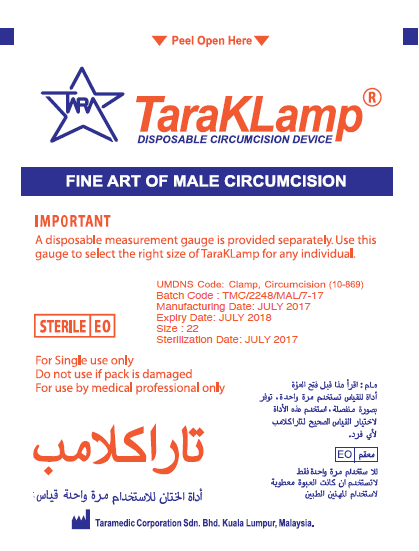 TARA KLamp, is the only circumcision device that has been listed under Circumcision Devices in the UMDNS. 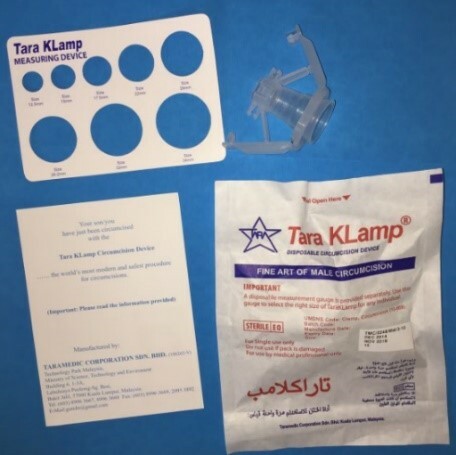 Tara Klamp is a pre-sterilized disposable device and is meant for Single Use only. This invention enables circumcisions to be performed not only safely and easily but also ----- for the first time in surgical history ----- enables circumcisions to be performed just as aseptically, at home, on the roadsides or out there in the bush, as in an operating THEATRE. These problems are prevented because the surgery performed by this device is of non-invasive type. 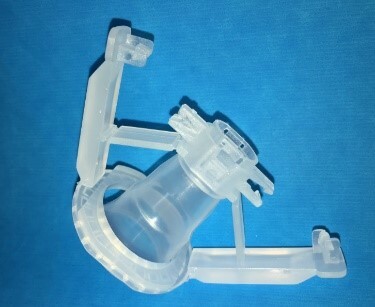 The unique Clamp & Cut method of the new and revolutionary Tara KLamp Circumcision Device is designed to make circumcision not only safer and easier but also to take the pain out of circumcision.